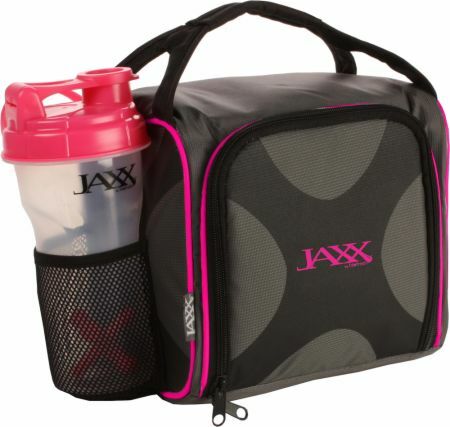 The Fit & Fresh Jaxx FitPak Meal Prep Bag with Portion Control Containers is a compact meal bag to pack and organize a full day’s worth of meals, proteins, supplements and shakes. All components are completely nontoxic, food safe, and BPA-free. 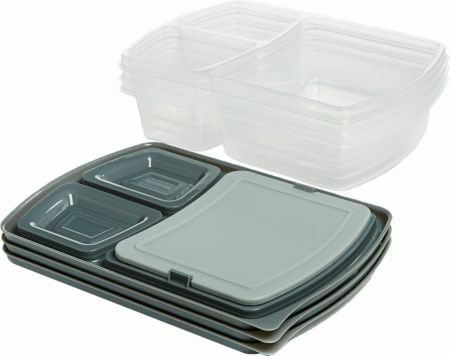 Contains 4 two cup leak proof containers and 2 one cup leak proof containers allow storage for up to 6 meals or snacks. 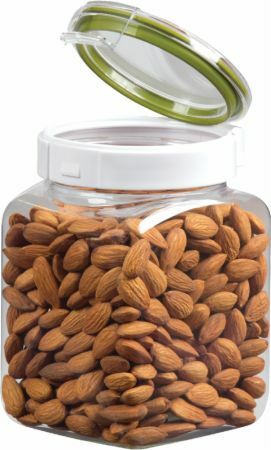 Has 6 leak proof containers are BPA free and dishwasher and microwave safe. Large ice pack fits vertically between containers to ensure freshness. Vitamin pocket pack included to store and organize supplements. Durable and lightweight dobby nylon and accent color piping for structure, versatility and durability. Insulated construction keeps meals fresh while on-the-go. 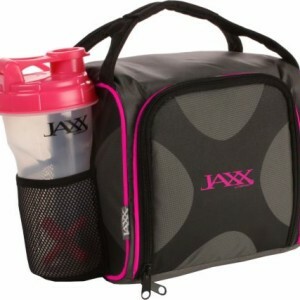 The Jaxx FitPak has all of the essentials to fuel your day. Meal management set includes (6) leak-proof containers [(2) 1 cup containers and (4) 2 cup containers], a Patented Jaxx Shaker Cup, a Pocket Vitamin Pack and a large ice pack all inside an insulated bag. 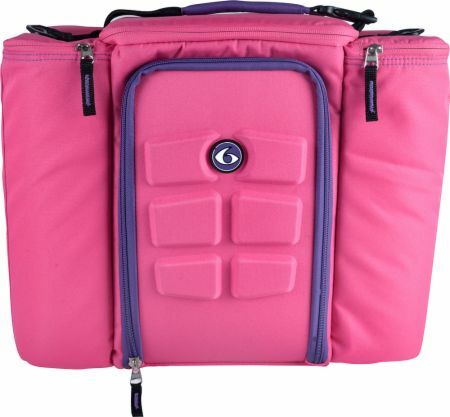 Pack a protein shake, a whole days’ worth of portion controlled meals and even your daily doses of vitamins and supplements all in one conveniently sized insulated bag. 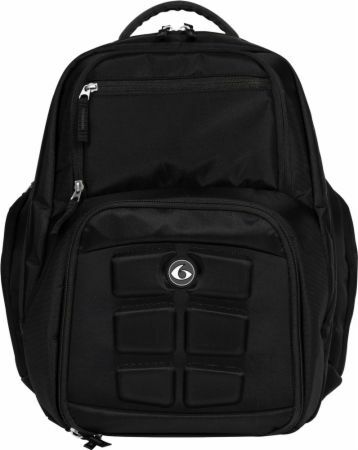 The insulated meal prep bag has a grey PEVA lining that is easy to clean and PVC free, the bag has a full zipper closure and interior mesh pocket. The Interior mesh pocket holds a Vitamin Pocket Pack, this is a small pill container with 5 compartments that easily slips into mesh pocket of bag or into your pocket to take on the go! And don’t forget your daily shake or protein drink! The 28 oz. Jaxx Shaker Cup breaks up protein powders and mixes with the powerful patented Jaxx agitator, the agitator is heavier than most due to the metal weight in the middle of the Jaxx, so it works harder at mixing up your favorite drinks and shakes!